Kim Voynar is currently CEO and Chief Imaginator of WonderTek Labs, a Seattle-based creative producing partner in the VR/360 storytelling and digital contemporary art space. Voynar was a film critic, film festivals editor and frequent juror, panelist and moderator on the international film festival circuit for a decade. She has written for Cinematical, Movie City News, Indiewire and Variety and was the on-air co-host for The Daily Buzz, a public radio program and podcast broadcast from the Sundance Film Festival and SXSW. She is the former head programmer for Narrative Features and VR/360 for the Oxford Film Festival and has served on the pre-programming committee for the Seattle International Film Festival. 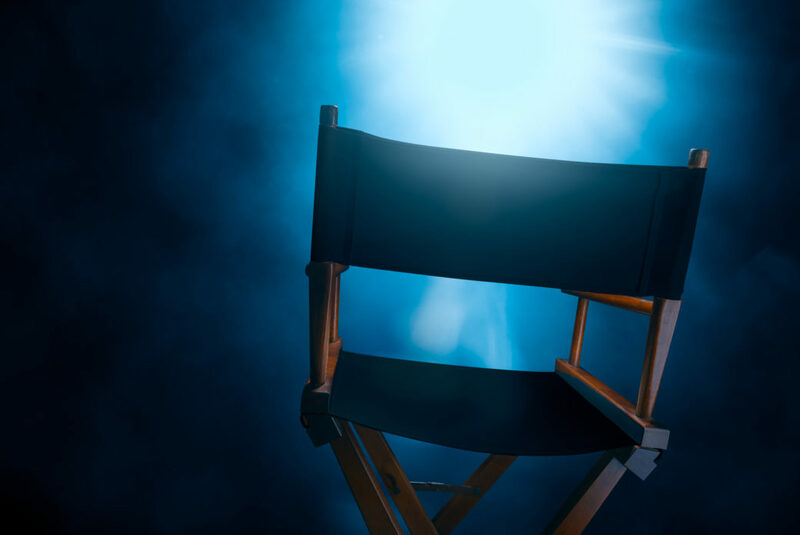 Additionally she has served on film juries for many festivals including SXSW, Sarasota Film Festival, Dallas International Film Festival and Seattle International Film Festival. In 2018, her work across the film and emerging-tech industries was awarded the Oklahoma Film Icon award by deadCenter Film Festival. See Kim speak Thursday and Friday night. Vanessa Renwick is an artist by nature, not by stress of research. She puts scholars to rout by embracing nature's teaching problems that have fretted trained minds. Working in experimental and poetic documentary forms, her iconoclastic work embodies her interest in landscape and transformation, relationships between bodies and landscapes and all sorts of borders. She has been a singular voice in experimental cinema for over 20 years. Eschewing an allegiance to any one medium or form, Renwick builds authentic moving-image works revealing an insatiable curiosity and unflinching engagement with the world around her. Often focusing her lens on themes of westward expansion and the locales of her adopted home, the Pacific Northwest, Renwick uses avant-garde formal elements to explore radical politics and environmental issues. An artist who often self-distributes, her screening history reads as a map of independent cinema worldwide. She has screened work in hundreds of venues internationally, institutional and not, including The Museum of Modern Art, Light Industry, The Wexner Center for the Arts, Art Basel, Oberhausen, The Museum of Jurassic Technology, Centre Pompidou, Bread and Puppet Theater and True/False Film Festival, among many others. Renwick is an artist of Scottish and German descent, born on the traditional and unceded territory of the Illiniwek in what is now known as Chicago, Illinois. She lives and works as an uninvited guest on the traditional territory of the Chinookan peoples, now known as Portland, Oregon. See Vanessa speak Thursday night. Sabine Gruffat is an artist who works with experimental video and animation, media-enhanced performance, participatory public art and immersive installation. In this work, machines, interfaces and systems constitute the language by which she codes the world. The creation of new ideas means inventing new tools, crossing analog and digital signals or repurposing old machines to patch into new ones. By actively disrupting both current and outmoded technology, Gruffat questions standardized ways of understanding the world around us. She is also a filmmaker with a special interest in the social and political implications of media and technology. Her experimental and essay films explore how technology, globalization, urbanism, and capitalism affect human beings and the environment. These films seek to empower people, encourage social participation and inspire political engagement. Sabine's films and videos have screened at festivals worldwide, including the Image Forum Festival in Japan, The Ann Arbor Film Festival and Migrating Forms in New York. Her feature film I Have Always Been A Dreamer has screened internationally including at the Viennale, MoMA Documentary Fortnight, Cinéma du Réel at the Centre Pompidou and The Copenhagen International Documentary Film Festival. She has also produced digital media works for public spaces as well as interactive installations that have been shown at the Zolla Lieberman Gallery in Chicago, Art In General, Devotion Gallery, PS1 Contemporary Art Museum and Hudson Franklin in New York. She is currently associate professor of art at the University of North Carolina at Chapel Hill. See Sabine speak Friday night. A self-taught visual artist and filmmaker, Brent Green’s films have screened, often with live musical accompaniment, at such venues as the Museum of Modern Art (MoMA), J. Paul Getty Museum, Brooklyn Academy of Music, Hammer Museum and Sundance Film Festival, as well as rooftops, warehouses and galleries throughout the world. Often, his sculptural work and large-scale installations are displayed alongside his animated films. Green has had solo exhibitions at Arizona State University Art Museum, SITE Santa Fe, the Kohler Arts Center and the Berkeley Art Museum. His work is in several public collections including the Museum of Modern Art (MoMA), the Hammer Museum and the American Folk Art Museum. Brendan John Canty is an American musician, composer, producer and filmmaker, best known as the drummer for the band Fugazi. In 2007, Stylus Magazine ranked Canty 29th on the list of "50 Greatest Rock Drummers," based on his drumming work with Fugazi. See Brent and Brendan perform Saturday night. Learn more about SEEN/UNSEEN. See schedules for Thursday, Friday and Saturday. Open Now until 10 p.m. • April 20, 2019 @ 7:15 p.m.